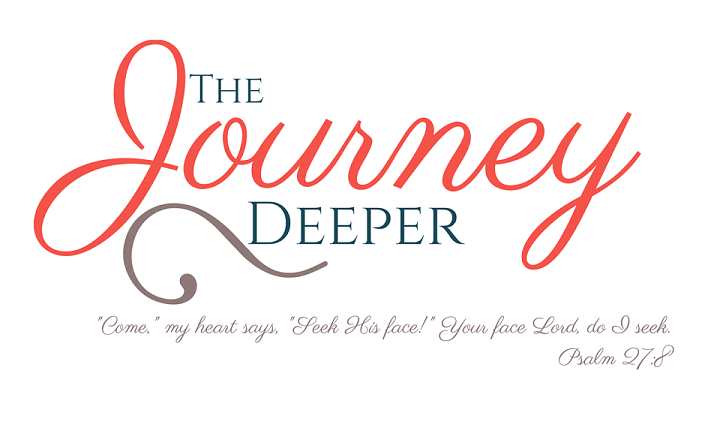 In case you missed it, my #OneWord365 is intentional. 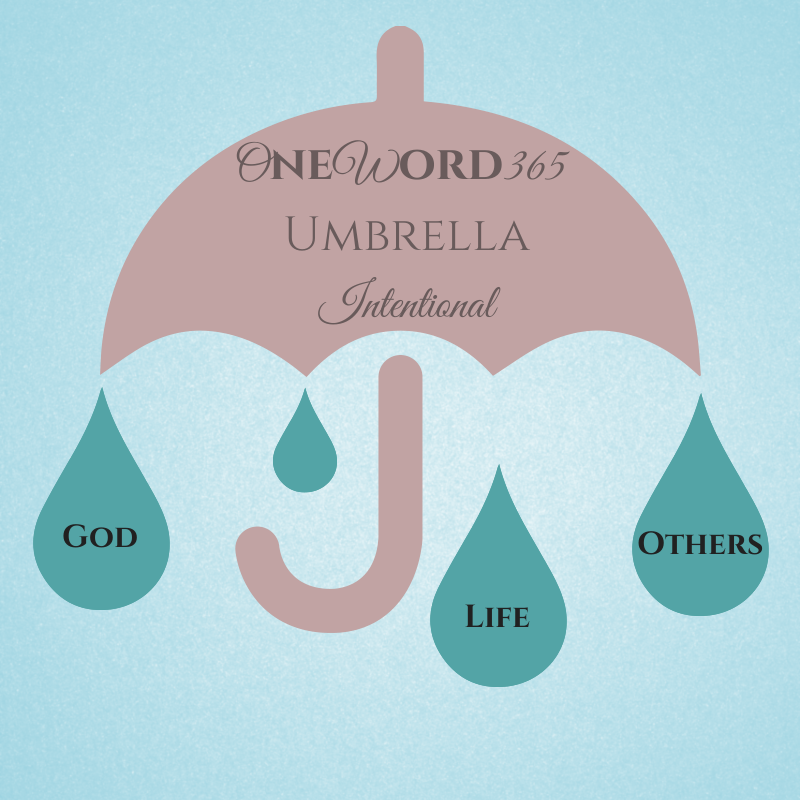 Under my intentional umbrella I have three areas to be intentional about: God, life and others. That's pretty much my whole life, I know. But that is my focus for the year, to be intentional about my whole life. So it fits. One of the ways in which I am being intentional is with spending time with God. Carving out a time, each day, to spend with Him, and do nothing else. No music, no laptop, just me, my Bible, my journal and my God. So far, I've been doing this pretty consistently, but it's been mostly in my "leftover" time, as opposed to time intentionally set aside for that purpose. This may mean earlier mornings, but what better way to begin my day? I especially want to be more intentional about prayer. I hope to spend even five minutes just praying without being distracted. (I get distracted pretty easily...sigh.) Communication with God is key to this walk with Him, and I want to give God my full attention. Pray for me y'all. In my own life, I particularly want to be more intentional with my time. When I have free time, I want to use it well, instead of spending it say, online window shopping. Being more intentional with my time thus far this year has revealed that I have time to make dinner every night (who would have thought?) and write several times per week, and even read the occasional non-fiction book! I'm still working on a daily routine designed with purpose, which is a bit tricky since each day is different, and I won't necessarily know that until it begins. Also in life, my goal is to be more intentional with my training. Over the next year, I will present at a national conference, apply and interview for jobs, as well as finish my research, write and defend my doctoral thesis. This entire process will be significantly less stressful if I approach every day in the lab with greater purpose. I'm a 20-something. We're stereotypically self-absorbed. In 2014, however, I am going to be intentional about serving others, in whatever way I can. Even if it's sometimes inconvenient. Even when there is absolutely no reward or recognition. Even when I really don't want to. I'm also trying to be a better friend. More patient, more loving, more accepting, more encouraging. More intentional about keeping in touch. More intentional about listening, especially to the words that remain unspoken. And that's my umbrella! Do you have a word for 2014? What would be under your umbrella? Be blessed and shine intentionally!